Spring has sprung, and with it the time to switch out my wardrobe. I live in a relatively small home, and while my closet is technically a walk-in, it’s far too small to hold more than one season of clothing. I schedule a weekend in advance for this process for not just my wardrobe, but Karl and Emerson’s as well. To prepare for this weekend, I reassess our closet and clothing storage needs to be sure we’re maximizing our space without damaging out of season clothing in the process. 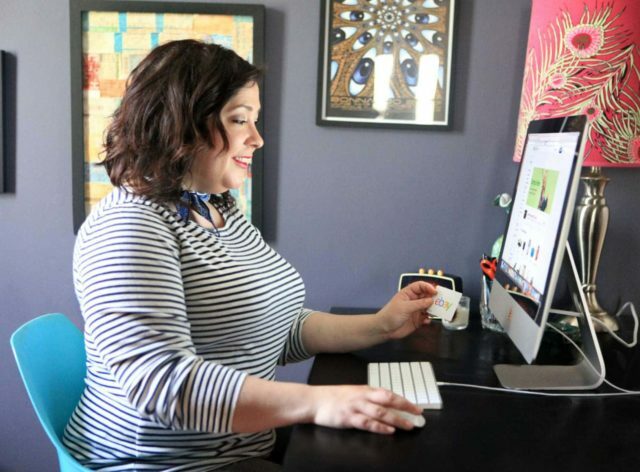 eBay has been a favorite shopping destination of mine for many years, which is clear by how often I reference it on the blog. I’ve found designer bags for much less, one of a kind vintage pieces, and even cool gifts like a vintage adjustable dress form for my mom who often sews her own clothes. So when I was approached to partner with eBay for spring cleaning, it made perfect sense. Armed with a gifted eBay gift card, I headed to the eBay Spring Store, where they have an extensive selections of items for yard and garden, outdoor activities, as well as spring cleaning. There’s a section just for Storage and Organization; that’s where I clicked in hopes of finding tools to improve my spring closet transition. Scrolling through the options I saw a heavy duty commercial grade garment rack; this would make so much sense for switching out my closets! I can put all the items I want to remove on there to make room for the spring pieces without having piles of clothes on every flat surface in our bedroom. 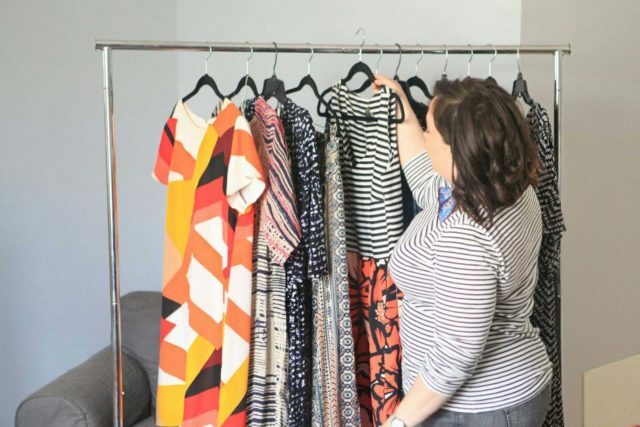 I store leather, nice dresses, and pieces that shouldn't be folded in our office closet; this makes it easy to transport them all at once to that location and then use the rack to hold any spring coats in that closet I need to take out and put in regular rotation. Since the rack is collapsible, I can break it down and tuck it in the attic when not in use. I know this garment rack will prove extremely useful past the closet clean-out, holding coats when we have a party or organizing clothes before a trip. I even used it when working with a personal stylist. The shoe situation in my closet is awful; I have an over the door canvas shoe bag situation that accommodates 12 pairs. The left side of the photo above shows my current shoe situation; the rest are in boxes inside the closet on shelves so high I need a step stool to access. 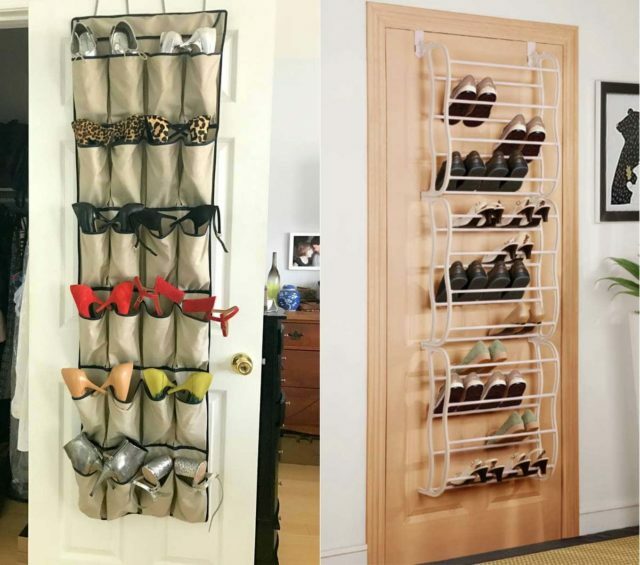 I found this over the door shoe rack that holds up to 36 pairs (right photo) and it takes the same amount of space. Unlike at a brick and mortar shop, this rack has customer reviews to help choose the right item, and the price is really nice. I can't wait for it to arrive; I will store the most worn spring shoes on this rack while keeping my boxes in the closet to carefully store winter shoes. What’s so great about the eBay gift card is it’s one card with unlimited options. 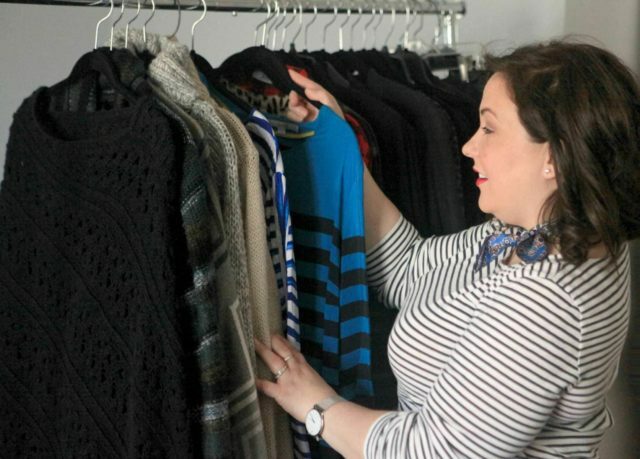 From shoe organizers to designer fashion for less, one of a kind vintage wears to a replacement for your broken china, eBay likely has it and has it for less than at other retailers. 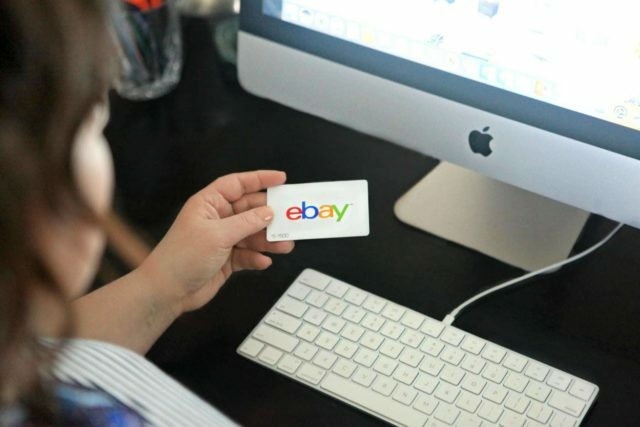 With weddings and graduations on the calendar this spring, an eBay gift card would be a wonderful gift. 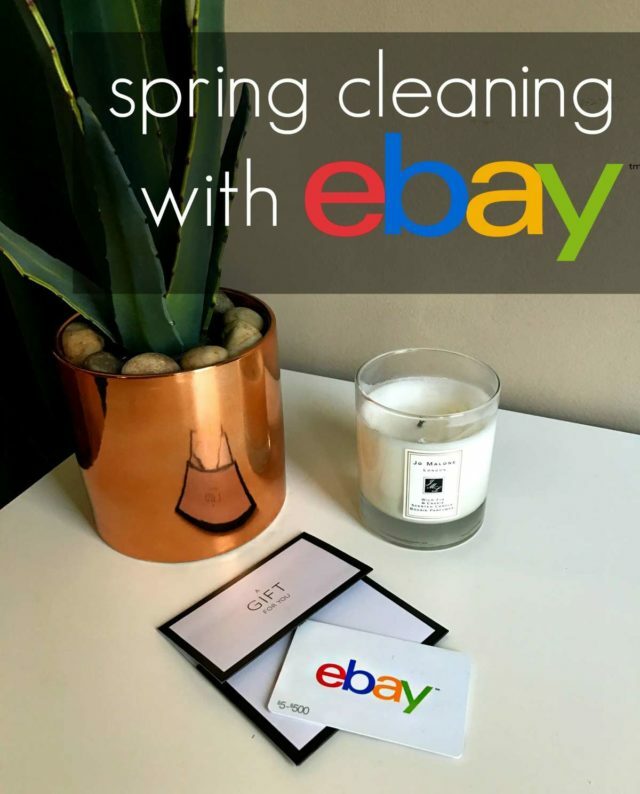 And no better place to start your spring cleaning than at the eBay Spring Store. Thank you eBay for this opportunity to improve my wardrobe spring cleaning process. I’m glad you posted this–I ordered that shoe rack yesterday. Can’t wait for it to arrive! I haven’t though I am curious!